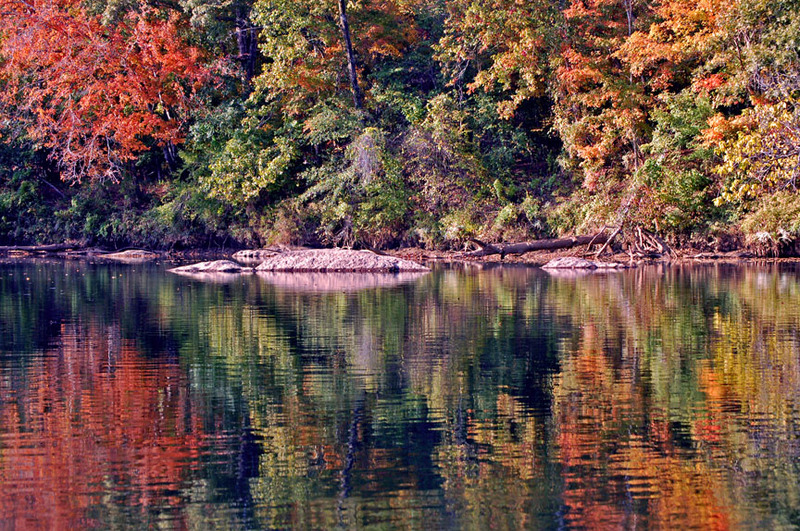 Tallapoosa Canoe Trail making Big Strides! A project that has been in the works for two years may finally be coming to fruition, says Tallapoosa Planning Coordinator Patrick Clarey, as the city of Tallapoosa is nearing the end of the requirements it must meet to get the Dub Denman Canoe Trail officially up and running. According to Clarey, the city has been moving forward with the Georgian Department and Natural Resources on two of the original five proposed sites that would be loading and unloading zones for kayaks and canoes. Five sites along the Tallapoosa River were originally being considered for trail access points, including two on county property. The other three sites are on private property that will require the landowners’ permission before development. Starting at the northernmost site in Tallapoosa, the sites include locations just east of U.S. Highway 27 on Garner Road; on East Poplar Springs Road near the old steel bridge; on Georgia Highway 100 near the Haralson County Water Authority Treatment Plant; at the bridge crossing on Broad Street; and Liner Road’s rail road trestle, just west of U.S. Highway 78. Several months ago, the city applied for their variance that will allow them to disturb the creek bed to build access ramps at two of the proposed locations: the ones at Broad Street and Poplar Springs Road. After getting approval, the city was required to run an advertisement and allow for public comment for 30 days. “We notified the EPD (Environmental Protection Division) in Atlanta that we’ve completed that, so we’re just waiting on confirmation,” Clarey said. Clarey is coordinating the implementation of the canoe trail. The project was originally researched by Clarey after Haralson County resident and river enthusiast Dub Denman suggested it to the Tallapoosa City Council. Since then, the council and the Haralson County Board of Commissioners have expressed their support and a grant of $51,150 has been awarded to the county by the Georgia Department of Natural Resources (DNR) to pay for the trail’s access points. The access points are expected to include concrete staircases and wooden canoe launches where needed, as well as gravel parking lots, trash receptacles and signage. Now, Clarey says several officials and volunteers may soon reap the fruit of their labor as they are only waiting to get the go ahead from DNR and for the river level to drop before beginning construction on the Broad Street and Poplar Springs Road sites. Clarey said the site located at the Water Authority Treatment Plant will require more planning before getting approval, as a route around the intake valve needs to be established for river tourists. The other two sites are on private property and are still being negotiated with the owners. However, despite the fact that the canoe trail may only have two access points this year, Clarey said those who put in at these sites can still paddle most of the trail, which is 23.8 miles long along the Tallapoosa River, and then link up with a canoe trail in Alabama and use that state’s access points as well. Even with partial completion, Clarey says the trail will be a “fantastic recreational activity” for area residents as well as visitors. Coastal Wetlands are being lost at twice the rate they are being restored – What can YOU do to HELP? Despite their environmental and economic importance, coastal wetlands (wetlands located in coastal watersheds) in the eastern United States are being lost at twice the rate they are being restored. More focused protection strategies are required to reverse this trend. 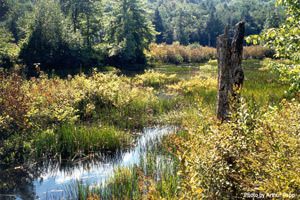 Participate in programs that help protect and restore wetlands. Contact local, state, or federal agencies, community groups, environmental organizations, and other non-government organizations. See American Wetlands Month events. Report illegal actions such as unauthorized wetland fill or dredging activities to government authorities, such as the U.S. Environmental Protection Agency or the U.S. Army Corps of Engineers. Pick up litter and dispose in appropriate trash containers. Keep surface areas that wash into storm drains clean from pet waste, toxic chemicals, fertilizers, and motor oil, which can eventually reach and impair our wetlands. Use native species when planting trees, shrubs, and flowers to preserve the ecological balance of local wetlands. Use “living shoreline” techniques that make use of plant roots to stabilize soil if you own waterfront property and your shoreline or river bank needs to be stabilized. Avoid wetlands if you are expanding your house or installing a shed. Use phosphate-free laundry and dishwasher detergents. Phosphates encourage algae growth, which can suffocate aquatic life. Use non-toxic products for household cleaning and lawn and garden care. Never spray lawn and garden chemicals outside on a windy day or on a day that it might rain and wash the chemicals into waterways. 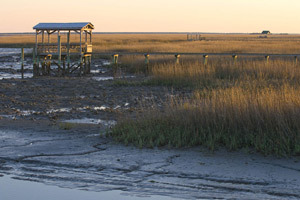 Enjoy the scenic and recreational opportunities coastal wetlands offer, while preserving their integrity for future generations by minimizing the use of heavy equipment and staying in designated visitor areas where available. The print edition of GRNs quarterly Newsletter CONFLUENCE is now available online… A MUST READ! 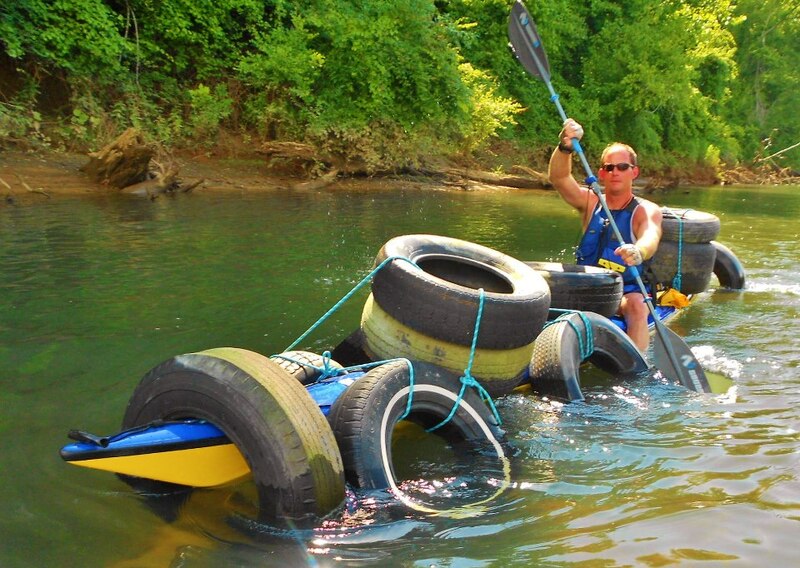 From Paddle Georgia news, River Spotlight, Upcoming events, and other goodies- Check it out! It’s TIP TOP TUESDAY! Time for GRN’s Tip of Week ~ Save Water with Composting- Who knew?! 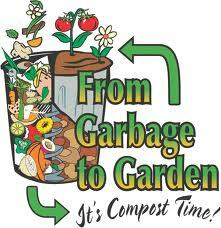 Time for GRN’s Tip of Week ~ It’s COOL to COMPOST! By adding organic material, such as compost, to the soil in your yard you can reduce soil erosion and improve the soil’s ability to hold water and nutrients. 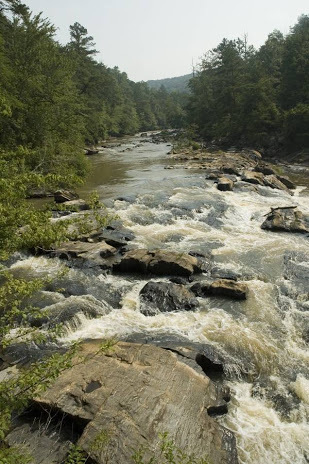 Description: Come and paddle with us at Sweetwater Creek State Park! On this scenic tour you will experience wetlands, water fowl and serene rolling hills as you paddle on Sweetwater’s beautiful lake. You’ll be joined by ACA-trained kayak instructors there to make sure you get the most out of your paddling experience. Pre-requisite: Learn to Kayak Class or equivalent skills. Students must be physically able to paddle 4 miles. Touring kayaks will be available for participants at no additional charge. Have a fun kayak experience in a beautiful place. Learn about basic kayak gear and clothing selection. Learn basic kayak stroke techniques. Test out a touring kayak Learn the basics of managing yourself on a guided kayak tour. This course requires the participant to read and sign a liability release form before participating. Please see “Required Legal Form” for the session you are registering for. You will need to print, sign and bring the form to your class. Gerry Cowart makes the Savannah Morning News for his 12 in 2012 accomplishments! Last year the Georgia River Network issued a challenge to kayakers and canoeists around the state: Paddle 12 different Georgia rivers in 2012. Savannahian Gerry Cowart took the challenge seriously. He was not only the first participant to finish, but also this recreational overachiever doubled the goal, keeping up his pace after hitting the dozen mark in June. “I figured since I love it so much I ought to double the challenge,” he said. Cowart did, ultimately paddling 24 rivers along the coast and into middle Georgia. 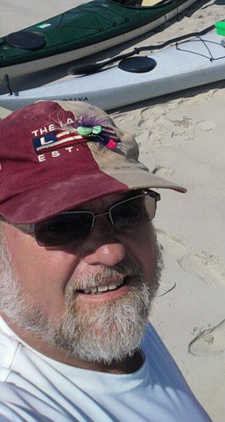 He chronicled his paddles on the Georgia River Network website. A banner listing all the rivers and the dates paddled hangs from a balcony at his Landings home. The challenge didn’t get him out paddling more; he was already an avid kayaker. But it upped his destination diversity. His favorite new spot might just be the Satilla River, he said. But the coolest thing he saw all year was closer to home on the Canoochee.